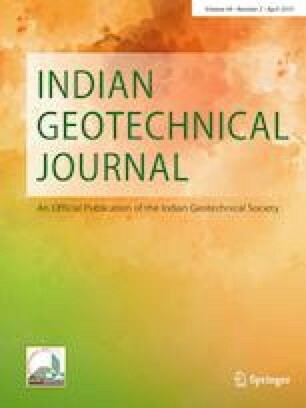 This paper describes a modified conventional fixed ring consolidation cell to perform constant rate of strain (CRS) consolidation test for determining consolidation properties of soils. The modified consolidation cell is similar to the conventional oedometer cell with an additional provision for measuring pore water pressure at the bottom of the soil specimen. Detailed description of the modifications required in the conventional consolidation cell is provided. The performance of the apparatus is validated by performing CRS consolidation tests on four types of reconstituted soil specimens and one undisturbed soil specimen. The test results obtained from the proposed CRS apparatus were compared with the results obtained from the incremental loading consolidation tests. The test results prove that the modified consolidation cell is very well suited for performing CRS tests to determine the consolidation properties of soils. The modifications in the conventional cells were made in the Departmental Workshop Facility, Department of Civil Engineering, Indian Institute of Technology Madras, Chennai, India. The contribution by Mr. R. Murali, Junior Technical Superintendent is gratefully acknowledged.